Kootu in Tamil means 'add'. Any Vegetable can be added with the lentils. 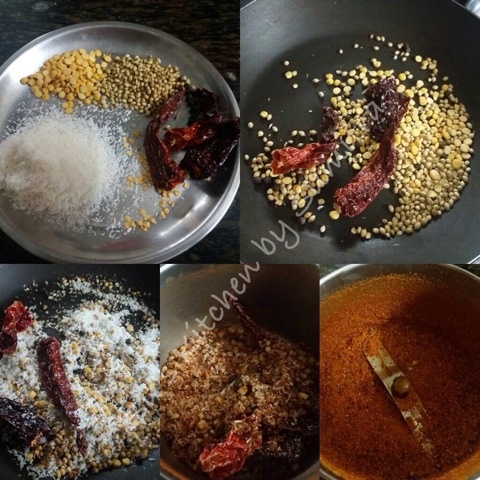 Different types of Kootu are made with different spice flavour. 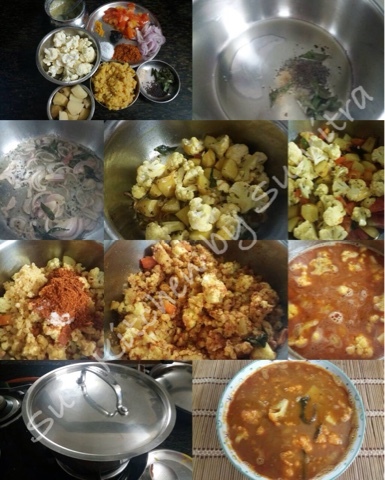 It is an South Indian dish. The gravy here is not very thin. 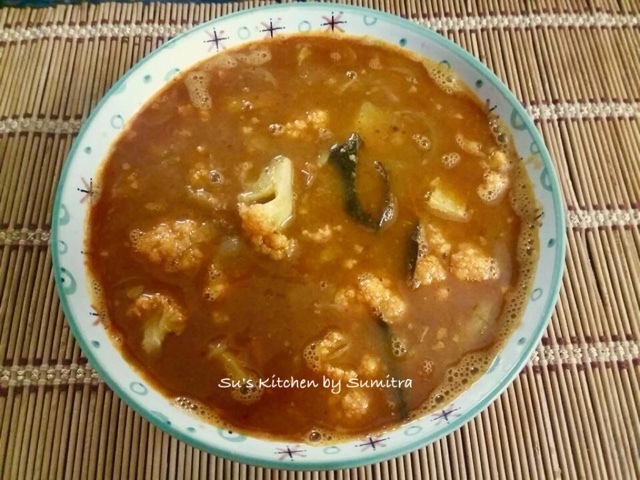 Here I have made Cauliflower Kootu. The flavour of the Kootu powder here with the vegetable and lentil has an awesome taste. It is eaten with hot steam rice. Take a pan, dry roast all the ingredients except coconut on low flame for 5 minutes. Add grated coconut and roast for 2 minutes more and turn off flame. Cool and grind the ingredients into a fine powder. Keep it aside. Cook the Tur dal with 2 cups of water till done and keep it aside. Heat ghee in the vessel, add mustard seeds, curry leaves and asafoetida, let it crackle. Add the onions and saute for 5 minutes. Add turmeric powder, potato and the cauliflower, saute for 10 minutes on low medium flame. Add the tomato. Stir and cook for 2 minutes. Add the boiled tur dal, ground kootu masala powder and salt, mix well. Add 2 cups of water. Bring to a boil, cover and simmer till the vegetables are almost cooked. Add the tamarind paste, along with a cup of water and cook on low-medium flame with lid for another 10 minutes and the vegetables are fully cooked. Turn off the flame. Serve hot with steamed rice.